Life can be so beautiful and amazing in many ways, but it also has a tendency to throw out a lot of hardship, grief, and immense challenges to overcome. Existence on Earth isn’t exactly perfect, and there are times when things are so tough that they can’t be taken on without the support of friends, family, or the guidance of experienced professionals. When a family comes to terms that one of their own is struggling with addiction, feelings of sadness, anger, fear, anxiety, or guilt are hard to ignore. These emotions can cause them to feel powerless or question what they might have done to prevent this. And when that family member is just a teenager struggling with addiction, there’s little in the way that can make parents and grandparents feel any better. The good news is that families looking for teenage drug addiction help have lots of options to help their teen get on the road to recovery. Why is this happening to my teen? The first thing people ask themselves when trying to figure out how to find help for their teenager is, “Why is this happening?”. It’s natural to do so, but at this stage, the “why” is less important than finding where to go from there. The truth is that addiction comes in many forms, and almost anyone can become addicted to drugs or alcohol. Addiction can happen at any age, but it most often starts when a person is young. What’s worse for a young person dealing with substance abuse is that drugs and alcohol can have an adverse effect on their developing bodies and brains. Addiction to substances has been known to negatively impact areas of the brain that are critical to judgment, decision-making, learning and memory, and behavior control. So even if an addicted teen is ready to quit, they will have an uphill battle in doing so. For a family who is unsure about whether or not their teenager is struggling and needs help, there are a few tell-tale signs that they might have an addiction. The first thing to pay attention to is whether or not there are any noticeable changes in their “usual” behavior. Some examples of this include sudden changes in appetite, withdrawing from their favorite hobbies or activities, or a decline in their academic performance. Some of the less noticeable things include changes to their overall mood, mental, or emotional states. 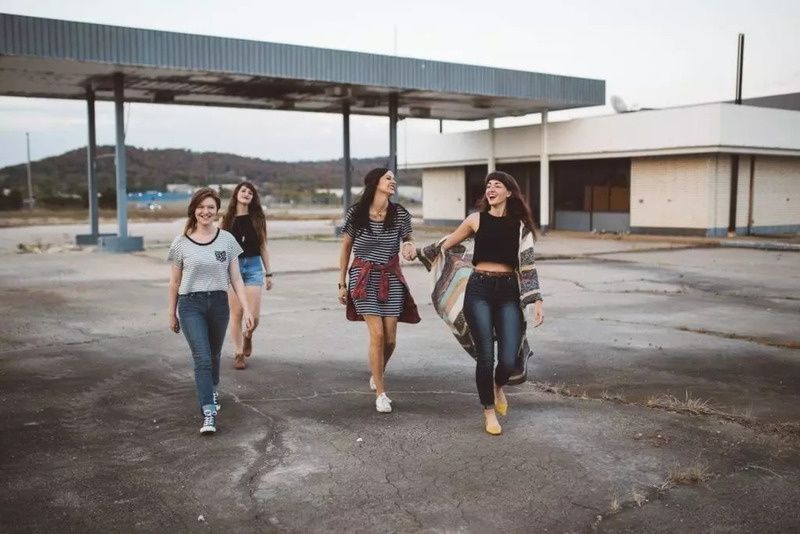 It can be difficult to notice these changes in your teen since these can often be dismissed as normal from the result of puberty. If there’s a strong possibility or reason for a family to believe their teen needs help with addiction, knowing where to start is critical. Medical and health professionals are the best place to go first since it is extremely important to know what substance they’re addicted to, and if they are even taking substances in the first place. It depends on the doctor, but most family physicians have the resources to perform drug screenings or look for other health-related issues to determine if the teen is positive for drugs in their system. It’s important to discuss options with these practitioners as they may feel more comfortable referring out to doctors who specialize in screening for drug or alcohol abuse. For doctors who examine a teen for a potential substance addiction, they may ask questions about the use of alcohol and drugs. They may also ask about associated risk behaviors such as driving under the influence or riding with other drivers who have been using drugs or alcohol. From there, a physician might administer a urine and/or blood test to identify what substances are being abused. Overall, this assessment will help determine the extent of a teen’s addiction, and whether they would recommend the child receive treatment of some kind. Teenage addiction and treatment offer up a long battle which may result in interruptions in the academic, personal, and athletic parts of their lives. The good news — which cannot be stressed enough — is that treatment works, and getting help is possible for anyone. When a teen is clearly showing signs of their addiction, families may question whether or not they should conduct an intervention if the child refuses to cooperate. Unfortunately, there is little evidence which proves these confrontational events are effective for inspiring change. Instead, family guardians should try to incentivize their teen-speak with a health professional. The reason for this is that teens are more likely to trust the insights of a professional rather than listen to their own family. These times are extremely trying, but the courage and patience put in will be the best thing anyone can do when getting their teen on the path to recovery. The fact is that these addicted teens will need help, and there are hundreds of thousands of treatment facilities in the U.S. alone that can provide this much-needed care. The hard part is over, and treatment is the next step for helping a teenager with their addiction. With so many different facilities across the nation, finding the right one means considering multiple factors. Treatment centers are all over, but some families will want to consider that because there is a treatment center near the family home, this doesn’t mean that this is the best option for their child. The quality of treatment should have the most weight on the decision, but families may want to stay close by in case the teen has relied heavily on the support of their family up until this point. On the other hand, there are benefits to sending the teen to a facility further away since their environment can positively or negatively impact their recovery. The quality of care received ultimately has the most impact on the teen’s overall path to recovery. This can also be the most difficult consider to quantify since many families are unsure as to what to look for when touring or learning about a facility. For starters, it may be worth sorting out and evaluating treatment centers based on their capabilities to treat teens. Many who receive treatment for substance abuse are adults, and some facilities may focus on treatment for teens and adolescents. Another thing to consider is treatment centers whose focus are on the treatment of specific substances. For example, some facilities may have built their reputation on alcohol abuse treatment while some treatment providers focus on treating opioid addicts in recent years. Considering that addiction treatment is constantly evolving, a proper treatment center will have a staff of well-trained professionals, top-notch technology, and an attitude which has them looking to the future. Breakthroughs happen every day, and new treatment methods are emerging across the globe. For example, FHE Health is becoming recognized worldwide as one of the first providers of neuro-rehabilitative treatment. Using cutting-edge technology at the forefront of addiction treatment, this FHE Health treatment includes neurofeedback training, EEG brain mapping, and brain stimulation therapy. No matter how a teenager receives treatment, addiction is not impossible to defeat, and finding help is just one part of it. For the teenage addict in your life, there’s no telling what struggles and heartache you may encounter down the road. Just know that addiction can be beaten and you can do it as a family.